Confessions of a dance pants addict: Tired and Busy! It's the same old story... getting so wrapped up in things that I forget to blog! That's the problem with classes that run 'til 9:30, I'm pretty tired out by the time I get home. Anyway, things are good. 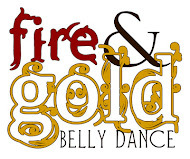 Fire & Gold had our first performance on Saturday and we rocked it. It was an outdoor show, 90ish degrees, on a cement basketball court... So not my favorite venue ever, but still better than the Stage of Doom at the faerie festival with Anaya Tribe. Yesterday we finished our second choreography. Now to practice the heck out of it! There are a few parts that I'm finding really difficult, and I need to be comfortable with them in time for our big show on the 20th. Class tonight was really good, and really hard. I hate it when my brain "gets" an exercise but my body just does not want to cooperate. I'm on a hiatus from the TTBDC. F&G is demanding a lot from me, with the choreos and needing to get my glow fan solo perfected, and I have a lot of personal dance goals I want to work on... not to mention a lot of things going on with my business, and normal life-y things. Also, I turned 30 today. Yay!